One of the world’s most important economic sectors, the automotive industry has long been a major consumer of automated machinery. In fact, automotive companies around the world have historically been among the biggest customers for manufacturers of automation in both size and complexity of machines ordered as well as in frequency of orders placed. There are many reasons manufacturers of Automotive Components have relied on Franklin Automation for more than 25 years; but none is more important than experience. You make the right choice coming to Franklin with your challenge, because there’s a good chance we’ve tackled something similar before and solved it. 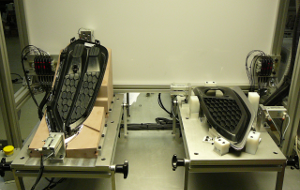 With a focus on design perfection, we are an ideal manufacturer for robotics with automotive applications that require the precision and high-levels of repeatability to minimize defects in a precise, high-volume, cost-sensitive space.